Tis the season not to judge a book by its cover, its clearly time to look past the fact that a man is standing in front of the restaurant begging you to come in and patronize their establishment as a sign of being horrible. 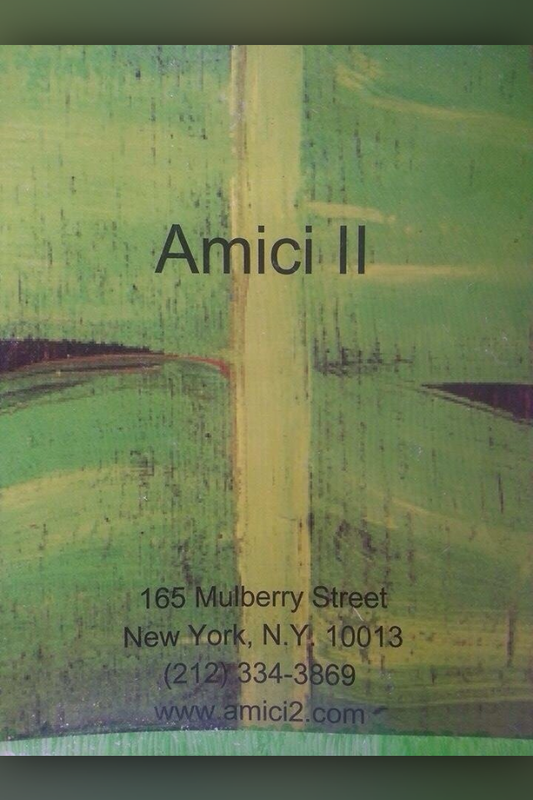 No more looking at the number of guests inside the restaurant as a sign of tastiness, so is the lesson learned by eating at Amici II in New York’s Little Italy. The only item on the menu this night was “Momma’s Traditional Lasagna.” Traditionally I never select lasagna, because I am not that fond of ricotta cheese and I know going in that no one is going to section off the lasagna with a non-ricotta section like my mom used to; but on a rainy/snowy night I felt the need to eat a hearty and warm meal and somehow that all translated into lasagna and OH MY SWEET JESUS it was a fabulous choice. To start the ricotta was barely there which was an utter plus for my tastebuds, the tomato sauce so fresh, light, perfectly seasoned, made me imagine that they were just picked off the vine and prepared just for me, the mozzarella was indubitably more delicious than I could imagine. Piping hot it oozed down the sides which provided a string moment which is always a requirement when eating mozzarella, and the meat was somehow light, with a perfect texture, that consistently resembled delicious meat with every bite. Now just to be picky I would have loved to have the edges of the lasagna and cheese to be a little charred, but I am certainly willing to overlook that oversight. There is always a test to determine whether the meal you have experienced is congenial to your palate and that is…did I need to add salt or pepper? If the answer is a resounding no, then the chef should be applauded for taking the time out to do what chefs do which is season your food so you dont have to. 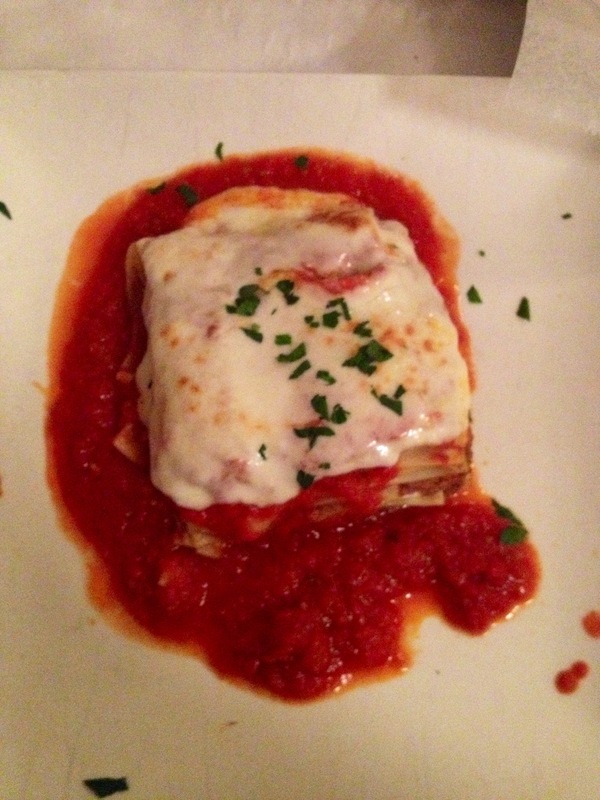 Kudos to you Amici II, this dish was a job magnificently done. Made it sound like my mother’s too. Can’t wait to visit NY! Plus the “judging” part was a teachable moment! Thanks!